Did you know that you can learn a lot of information about the 1940 Census from the 1940 Census Blog? The blog includes posts about famous people found in the census and how to find them, informative posts about the indexing project, and even great contests. You can keep up with news about the 1940 Census Community Project. The blog has an RSS feed that allows you to receive updates in your RSS feed reader, too. I’ve been working on indexing the 1940 Census a little bit in my free time, and I even managed to find my great-grandparents, my grandfather, and the rest of their family in Lockney, TX—mainly because I knew exactly where the family would be in the 1940 Census. I don’t know where the rest of my family was (for certain, anyway) in 1940. The project needs volunteers willing to transcribe certain information on the census images so that a searchable database can be created to help us all find our relatives in 1940, even if we aren’t sure where they were. I was really interested to discover the education level attained by my family members, and I was really intrigued to see my great-grandfather was still working for the WPA in 1940 and that my great-uncle Alvin was a shoe shine boy and shop cleaner at a barber shop. No one mentioned that job before to me, so likely the family didn’t consider it significant. You can learn more about the project and how you can help at the 1940 Census Community Project. 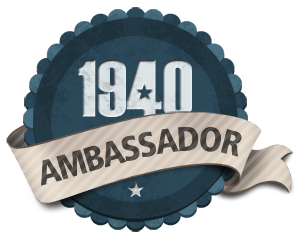 As part of the1940census.com ambassador program this blog post enters me into a drawing for an iPad. Do I have the right Frank Chatman or Chapman as my great-grandfather? I think I found him, but I’m not certain, and a later census with a bit more information could help. What happened to my great-grandmother Gertrude Nettie Perkins? She is missing from the 1930 Census, or at least, I can’t find her, but I know she lived until 1971. The 1930 Census was taken during a time of turmoil in her life when many of her children were adopted into different families. I also want to find all of them. What do my mother’s parents’ families look like in 1940? I’m also intrigued to find out more about my husband’s families on the 1940 Census. What are you looking forward to learning? By the way, until it’s indexed, you might find this infographic for how to search the census helpful.